Every year my mom and I take a little overnight trip to Chicago for wasteful spending and drunken debauchery shopping, wining, and dining on the Magnificent Mile. 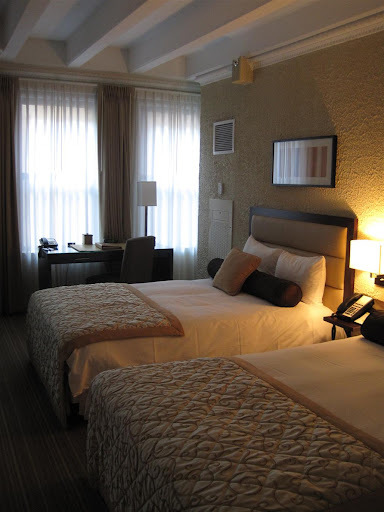 Last year we stayed at the Doubletree, and while it was very nice (not to mention it had warm cookie bribes) I decided to try a different hotel this year, one that we can't stay at in Wisconsin. 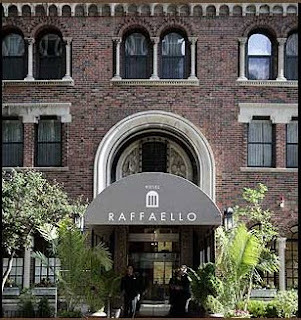 I found a great deal on a 'boutique' style hotel called Raffaello. You can't really see the lovely detail on the crown molding because I'm a stupid photographer. 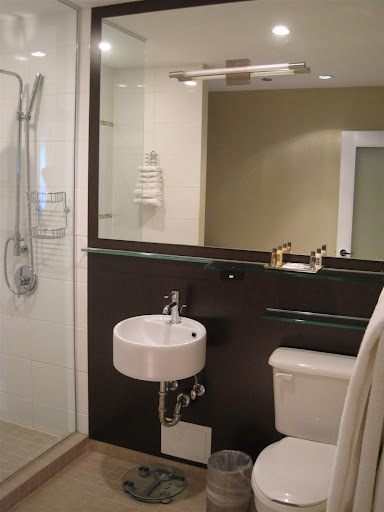 Anyhow, the bathroom was so huge I had to take three pictures to show it all properly. You could have a really comfortable Jello-wrestling match in here. Ok, one last bathroom pic - doesn't this make you want a frosted door of your very own? The designer of this place did a great job with the $25 million renovation budget, adding modern fixtures while keeping the original structure of the building. Individual hotel rooms are sold to investors who buy the unit and allow the hotel management to rent it out when they’re not using it, sharing the revenue. 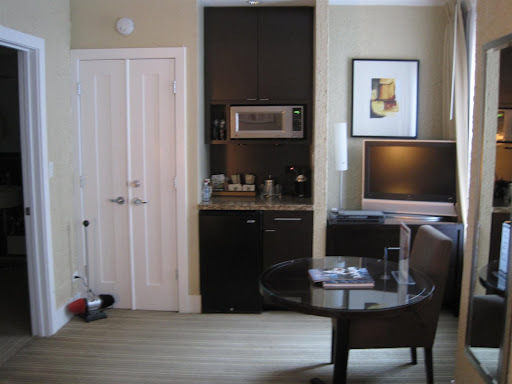 A unit can be used as a downtown weekend retreat, as lodging during business trips or as a place for family members or friends to stay. 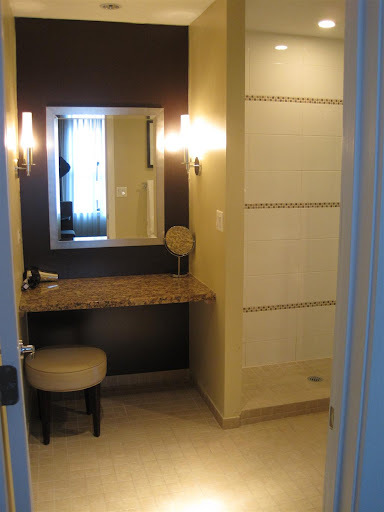 Buyers have the choice whether they wish to place their room into the rental program for general hotel guests. Owners who join the rental pool help pay for program expenses such as front desk, reservation and housekeeping services. Revenue generated is used to offset the owner’s share of those expenses. The historic 17-story building has 175 condominiums hotel suites with prices starting in the $270,000s. 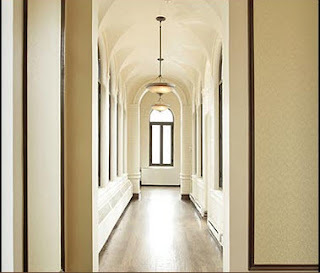 The Raffaello is 77 percent sold and the fastest selling condominium hotel in Chicago. Hotel amenities include a lobby with on-site board room and meeting facilities, a restaurant with room service options for suite owners and guests, and a 24-hour doorman with valet parking service, valet/butlers and a professional concierge. Raffaello also features an outdoor patio and private top floor deck and garden. If you had the money, is this something you would invest in? It is definitely an intriguing idea. It wouldn’t be a bad thing to always have a place to stay when you visit the city, plus have the added revenue of renting out your room. However, I would be worried about messy people like me guests trashing my room, but I suppose there are safeguards in place to remedy that situation. Also, it's kinda creepy that strangers are sleeping (amongst other things) in your bed, but that's true of all hotel rooms. 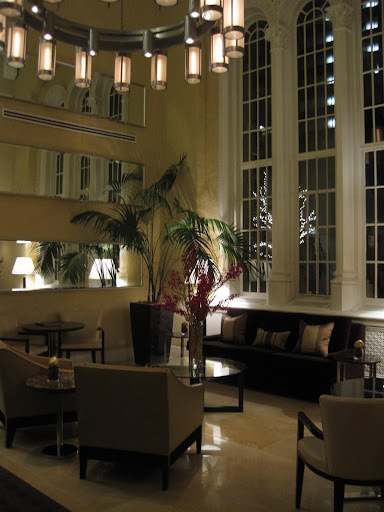 Either way, this is a gorgeous hotel with a lot going for it, at a very reasonable price. Check it out next time you visit the windy city! ps - check out this picture of the conference room floor. GAH! I die from the beauty. I love it! 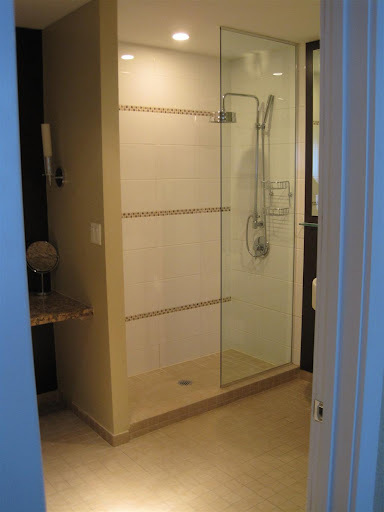 ...and yes, now I do want a frosted glass bathroom door. That room was only $99 per night? I have never been to Chicago for fun, just for work. That means I have only stayed in big chain hotels in the northwest suburbs. Boring! I SO, SO want to explore the city! 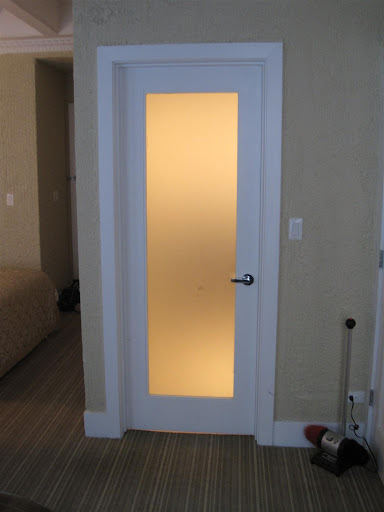 I seriously want a frosted glass door in my house. I love Chi-town! Will have to check out that hotel next time we go. I can't believe it was only $99 a night! What a steal! Wow, now that's a fabulous hotel! Very interesting about the condo thing, but I'm not sure I'd want to "share" with strangers. That's so fun that you can take a little vacay with your mom, too! Haha I love all your complaining about your photography- reminds me of my own blog. I'm jealous you got to stay there! If I were rich, I may actually consider that investment... it would be pretty cool to "live" in a hotel.